This motor yacht is one of very few legal charter yachts based in Mallorca that is coded for charter for 12 guests and 6 crew sleeping on board. This is only achievable because of her huge volume, very unique and excellent accommodating layout. 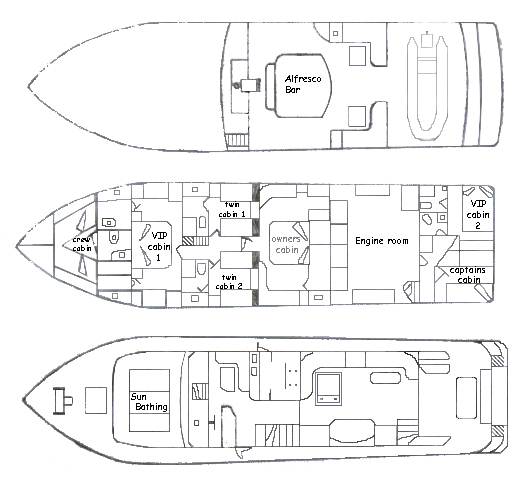 As well as catering for 12 guest sleeping on board she affords sunbathing areas that can collectively accommodate all the guests as well a dinning area that will dine 12 and an cockpit seating area for 12 as well as seating for 12 for dinning on the fly bridge.